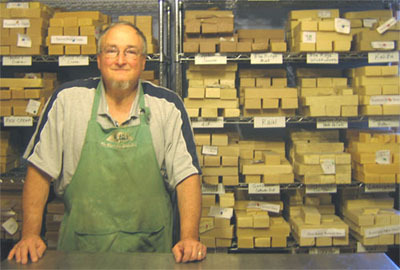 Since 2001 many aspiring soapmakers have joined Tim for handmade soap making workshops at the John C. Campbell Folk School in Brasstown, North Carolina for weekend and week-long workshops, learning how to make cold process Soap. We have now constructed a classroom space at The Soap Shed that allows us to teach soap making onsite as well. Learning how to make soap under the guidance of a retired science professor who can help you get started; create your own recipes and determine your own mold, batch and bar sizes; step up to managing large batches and beginning a business, is a rare opportunity. You can take the classes you need, as your journey along the soap making continuum progresses. Take advantage of learning from Tim, and learn by doing!